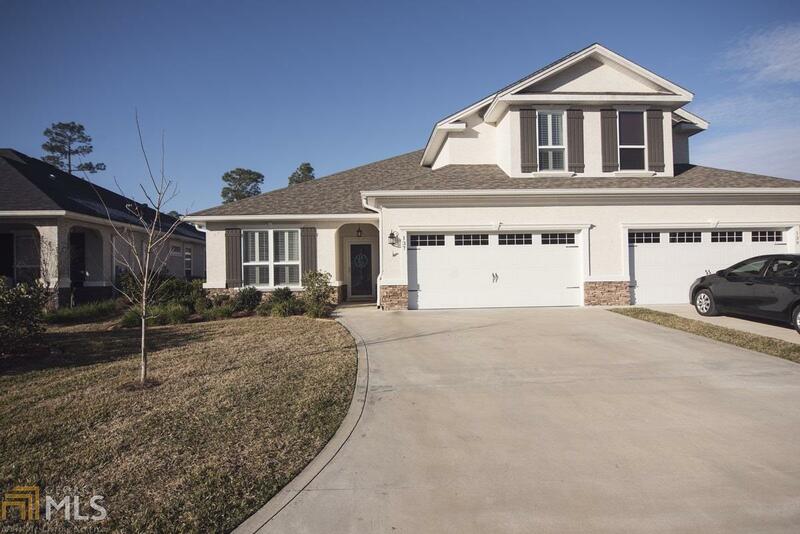 This beautiful 1.5 story villa on the 18th fairway of Laurel Island Links looks like a model home and has upgrades everywhere. The downstairs has wood floors throughout except for the tiled bathrooms and laundry room. The kitchen has custom cabinets, granite counter tops, and slate appliances. The large living room has a tray ceiling and built-in entertainment center. The huge master bedroom has a coffered ceiling and an over-sized closet with built-in wood shelving. The master bathroom features a travertine walk-in shower, 6&apos; soaking tub, dual vanities, and separate water closet. 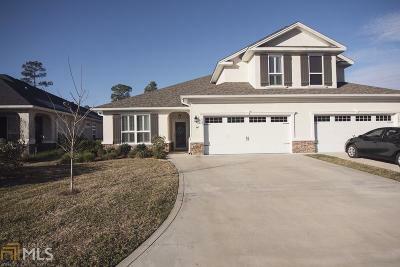 Upstairs has two bedrooms and one full bath as well as a huge bonus room. The tiled, screened back porch is a perfect place to relax with great views of the pond and golf course. Directions: In Laurel Island Plantation, Turn Right Into Laurel Landing, Go Straight Until Stop Sign.turn Left At Stop Sign And Then Turn Left Onto Miller Court. Home Is On The Left.